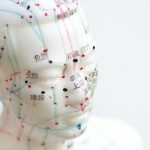 Acupuncture has become one of the most sought after remedy in the United States. 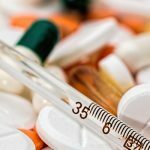 People are now opting for acupuncture and the main reason for this is that it is less invasive than conventional methods. However, there are many people out there who are afraid of trying acupuncture because they think that it hurts. 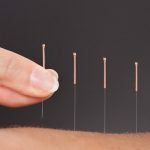 Acupuncture revolves around the idea of inserting a few needles inside a person’s skin and it is only natural to be afraid of it. But what if there was another way to enjoy the benefits of acupuncture because now there is. Lyapko is a company that has introduced lots of different kinds of acupuncture applicators in the US market. These products are getting a lot of popularity and if the trend continues then it might become a revolutionary product. To become a licensed acupuncturist you need to work very hard, but this product might change all that. The Lyapko applicators are available in many different varieties including rollers, plates, and belts. The needles of the applicator are very tiny and are made of different kinds of metals like nickel, iron, copper, and zinc. The applicator is able to get high therapeutic efficiency by two different methods, one is by galvanic currents that are produced between the skin and edges of the needles. The other is reflex and mechanical stimulation. 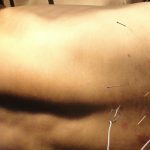 The reflex and mechanical stimulation are similar to what tradition acupuncture does. The applicator is lined with a lot of needles and when they are inserted inside the skin they activate the active points of the skin and micro massage the skin. 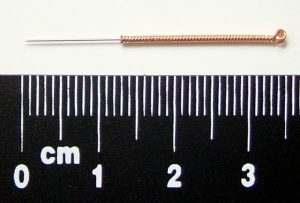 The effect that the needle has on the receptors are divided into three main parts, general, segmental and local reaction. The human body is full of electrolytes that contain both positive and negative ions. The intensity of these electric stimulations are regulated by the body itself and it depends on the amount of electrolyte that is contained in the particular area. Inflamed areas on the skin have a lot of electrolytes in it and that is when you use the applicator the intensity of the stimulation will be higher. But you don’t need to be afraid because that means it is working, you will probably sweat a lot during the process but after you are done the pain will be reduced significantly. The last is the humoral effect that is produced as a result of microiontophoresis of metals. The needles are made of different metals like iron, silver, nickel, zinc, and copper and when they come in contact with the liquid inside the body they create the humoral effect. Lyapko applicators are just the beginning and if these products keep on doing what they promise, it might change the future for acupuncture. Acupuncture right now is done in the same way it was done almost 2500 years. Although there have been some new introductions to the method, but it remains same for the most part. Such applicators are the first step to modernize the art of acupuncture. With these applicators the process becomes much shorter and easier.